/BigMIND /Zoolz Hybrid+ /How can I enable Zoolz Hybrid+? This method is applicable during the configuration process of the backup. 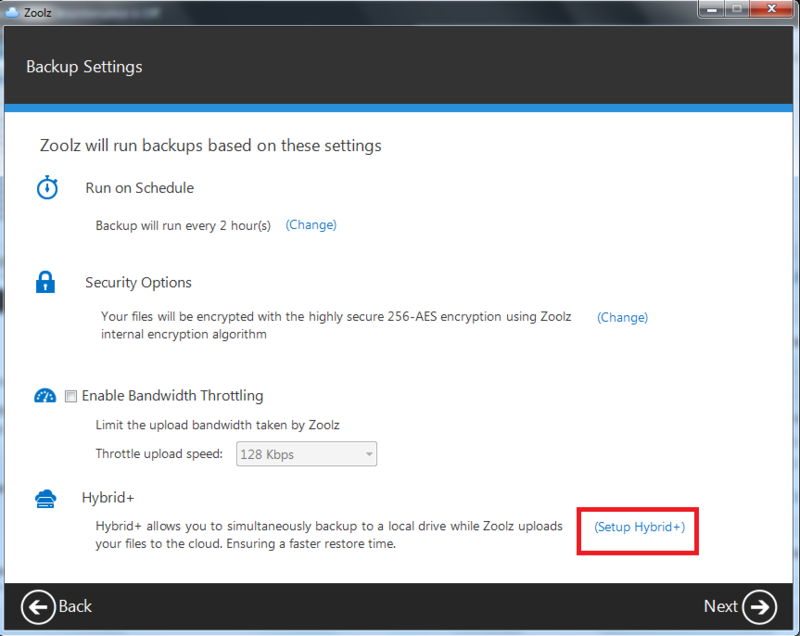 In step 3, under Backup Settings, click on Setup Hybrid+. Select the Enable Hybrid+ option. 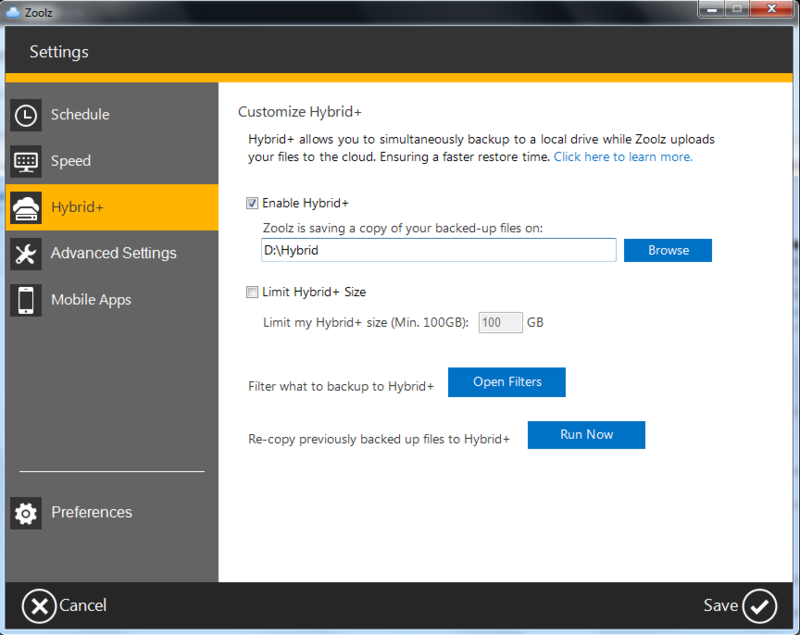 Browse for the location you would like to keep your hybrid backup in. It is recommended to save the backup on External drive or Network location. This method is applicable after configuring the backup. Right-click Zoolz agent (icon) in the system tray and select Open Dashboard. This method is applicable with policies. Refer to the Hybrid+ tab. Browse for the location you would like to keep the hybrid backup in. 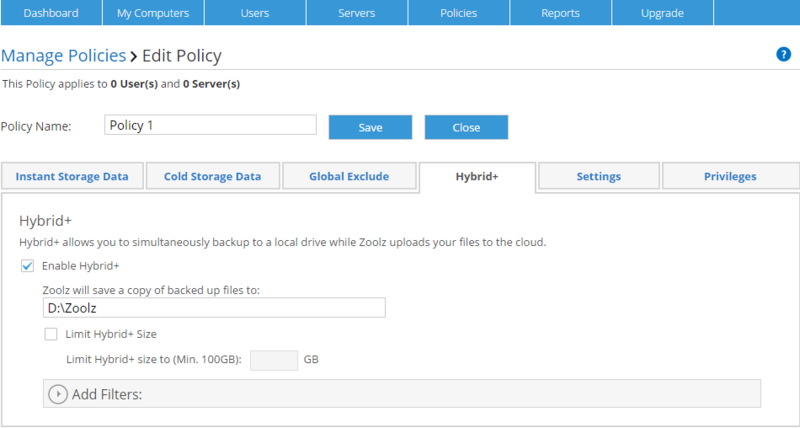 Policies is only available for Zoolz Business users.